Mats, Robert and I arrive in Turkish Kurdistan at night, and a lovely man lets us spend the night on the floor of a petrol station! We are told about a recent attack in the town by the Turkish military, killing over thirty people. 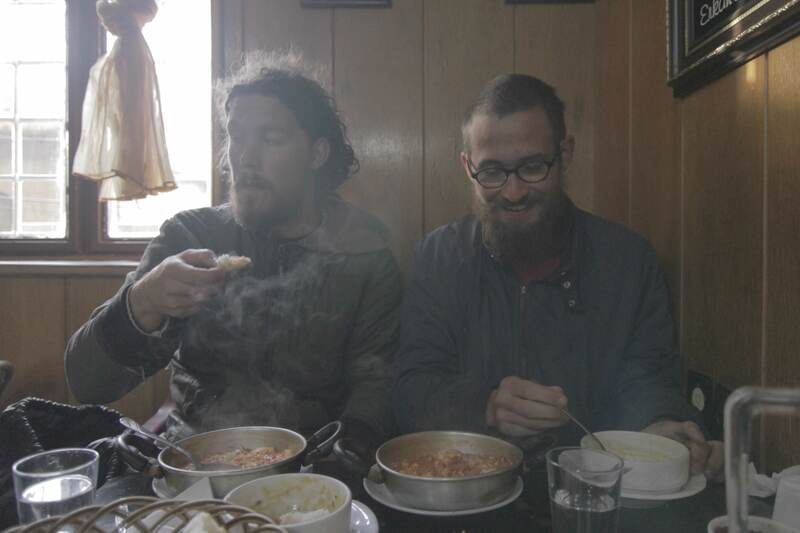 Mats sleeps in the kitchen of a petrol station – Hitchhiking is so glamourous! 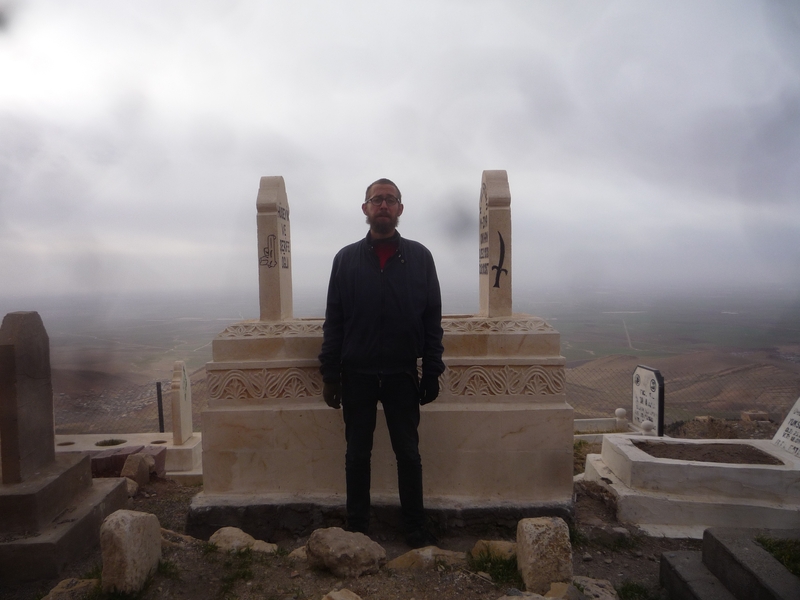 The Norwegians and I spend our last few hours together in Mardin, a beautiful but boring city, perched on a mountain. 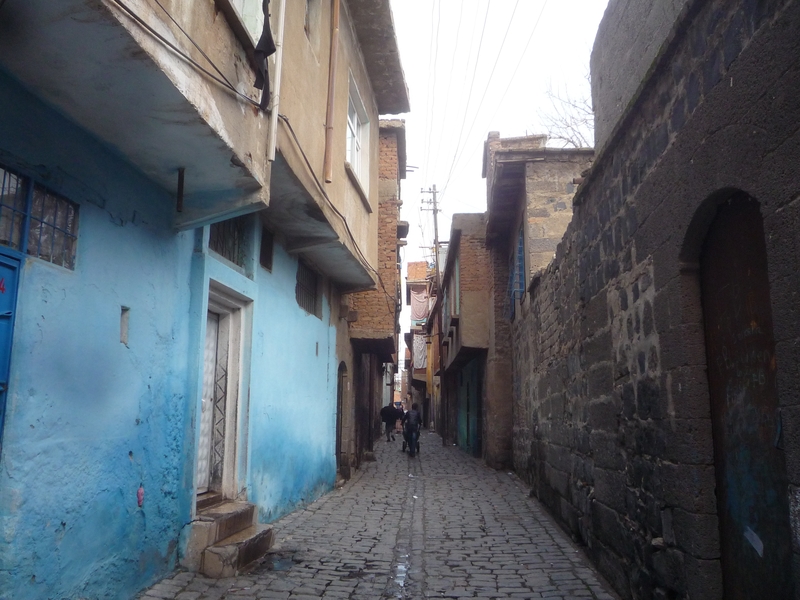 I continue my travels alone and head to the heart of Kurdistan – a city called Diyarkbakır. The first thing I notice is that there is a HUGE Turkish military base right in the centre of the city. The Old Town, enclosed within beautiful walls, is fascinating. The area evidentally doesn’t get funds for regeneration and many of the houses are crumbling. I love the atmosphere here. Local women laugh at the way I dress and at my terrible Turkish skills and invite me for tea. When children see me, they literally punch each other to get to me first and walk arm-in-arm with me. 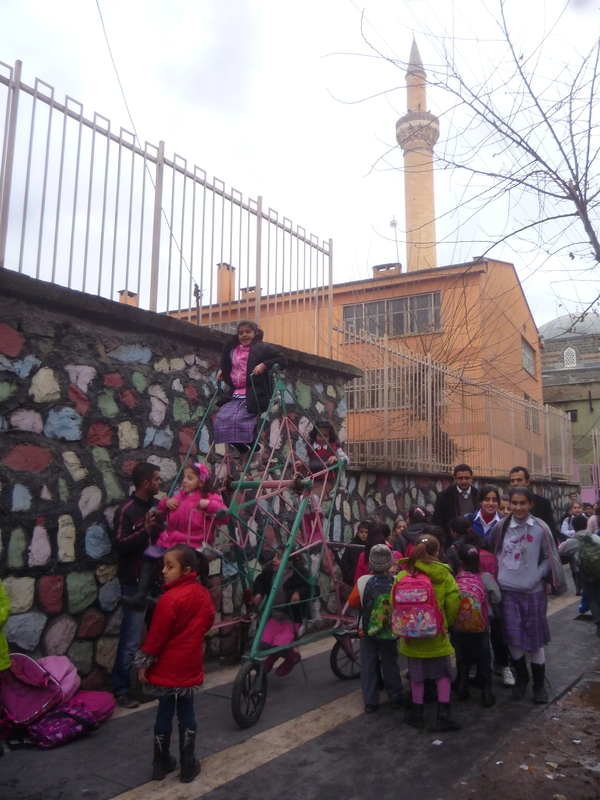 At one point, I have twenty children following me down the narrow alleys, practising their English with me. As the sun goes down, a man asks me, “why are you walking here? 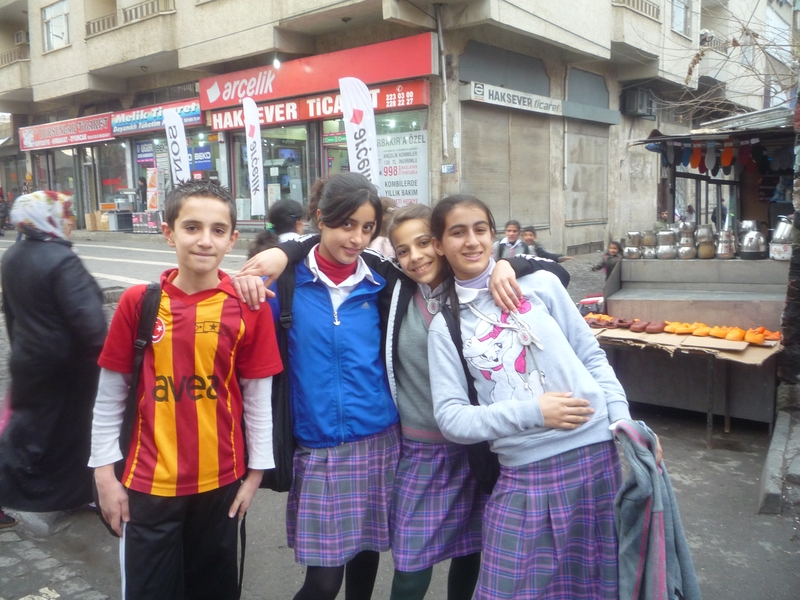 It’s dangerous!” I fail to see how children playing on the streets and old people buying bread is dangerous. Children queue to get on this “big” wheel! 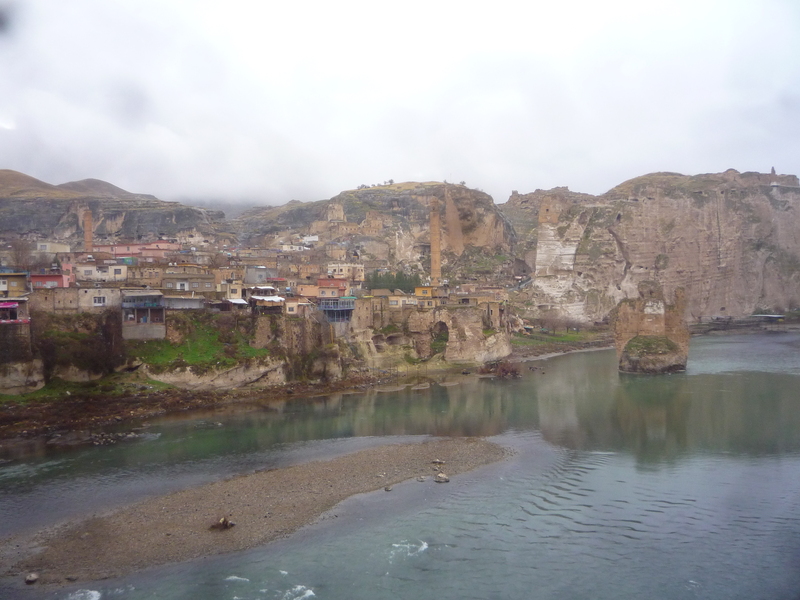 I then travel to a stunning, ancient town called Hasankeyf. This town is 12,000 years old but is set to vanish forever when a hydroelectric dam is completed. Hasankeyf will disappear under a 121 sq-mile artificial lake. 95 Kurdish villages and farms will vanish entirely and another 104 will be affected. 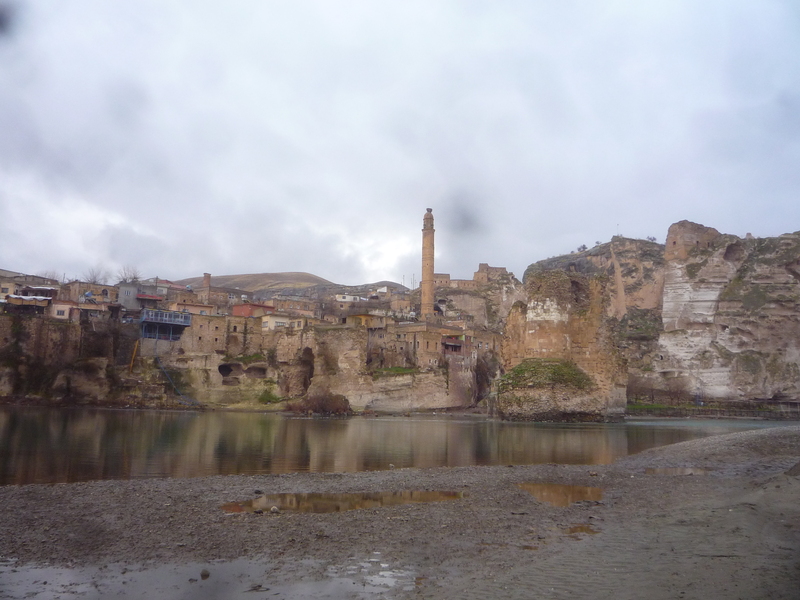 According to the Initiative To Keep Hasankeyf Alive, the dam will displace up to 78,000 people. The lack of decent government compensation means that people will be forced into the cities, where they will have no skills to live a decent life. There was already a forced depopulation of Kurdish villages in the 1990s, depriving children of basic needs, such as education, health and shelter. There have also been recent reports of the Turkish military burning down villages in the Hasankeyf area (see the Kurdish Human Rights Project). As I walk around beautiful Hasankeyf, I remember a comment someone made to me in Diyarbakır: “The state wants to erase all Kurdish history in this area”. There were general elections when I was travelling in Turkey last year. 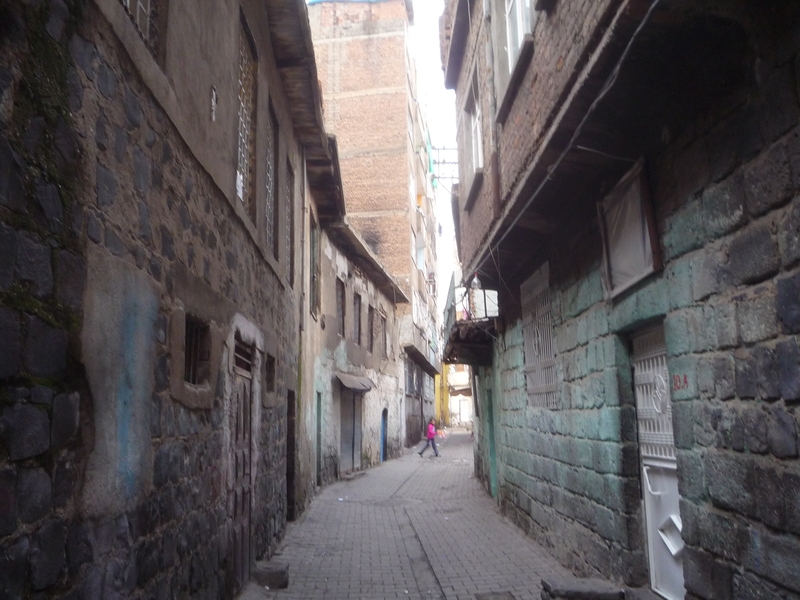 There was a mass detention of Kurdish activists during the electoral campaign, bringing the number of Kurdish activists in prison to roughly 5,000. Turkish military operations also accelerated after the elections, and an “anti-terror” strategy was declared. Great writing! Thanks for sharing your travels. The Kurdish region has so much to offer with tourism, but unfortunately its not so easy when your being repressed. Thanks for all the research Lisa. Going to open some of your links. Yakındoğu’yu “büyük Türk yurdu” haline getirmeyi tasarlayan siyasi proje, Rum, Ermeni, Pontus, Laz, Kürt, Êzdi, Alevi vs. soykırımları neticesinde başarıya ulaşmıştır. Tüm Yakındoğu ülkelerini “Anavatan”ı ve “Misakı Milli” olarak sayıp, haritadan çıkarmış, kendisini de Ortadoğu’ya dahil ederek gözünü Uzak Asya’daki Çin Sedi’nden Adriyatik’e kadar olan coğrafyanın hakimi olmayı yeniden planlıyorlar. Hamaset siyasetinde başarılı olan Türk Sunni liderleri şimdiye kadar savaşsız bir şekilde “zaferler”ini kutladılar. Bu coğrafyanın hakiki yerlileri olan mazlum halkların başarıyla yokedilmesi, aynı türden politikaların şimdilerde yeniden tekrarlanmasını beraberinde getiriyor.